The Martin model 187 Baltimore was a successor to the earlier model 167 Maryland and was originally ordered by the French Air Force. With the fall of France in 1940 the order was taken over by the British RAF. The type was given the USAAF designation A-30 to enable it to come under the Lend-Lease Act but it never served with the USAAF, all examples built serving with the RAF and other commonwealth air arms. Although initial development encountered a number of problems, the type eventually became a very versatile combat aircraft and over 1,570 were built. 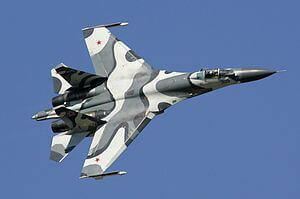 The last examples remained in service until 1949. The title contains two flight manuals for the Martin A-30 Baltimore and a maintenance manual. It has been scanned from the original manuals and retains any colour pages. 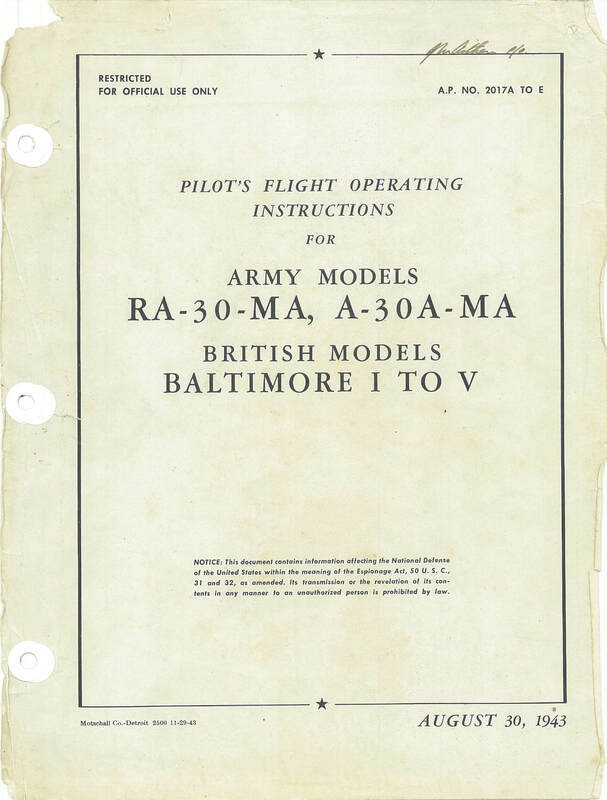 USAAF Pilots Flight Operating Instructions for the RA-30, A-30 and Baltimore I to V, AP 2017A to E dated Aug 30 1943, with approx 150 pages. 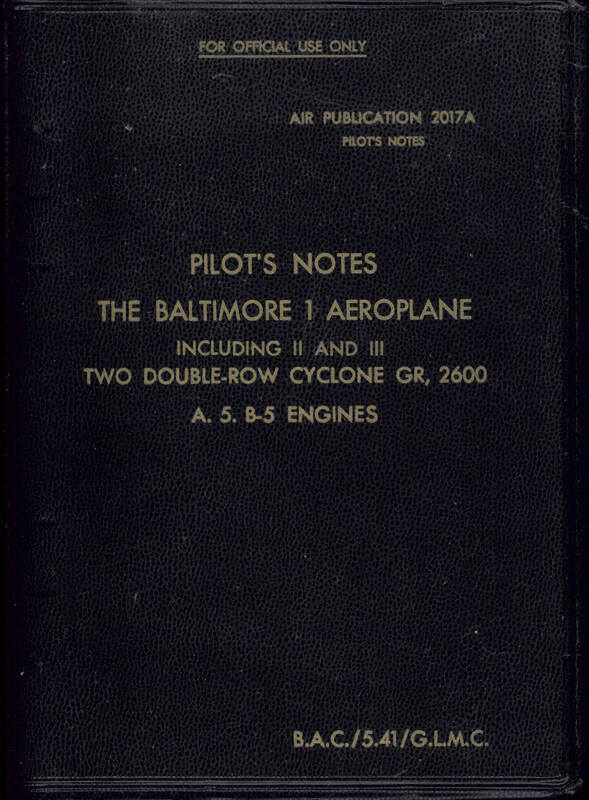 RAF Pilot’s Notes for the Baltimore I, AP 2017A-Pilots Notes dated October 1941 with approx 46 pages. 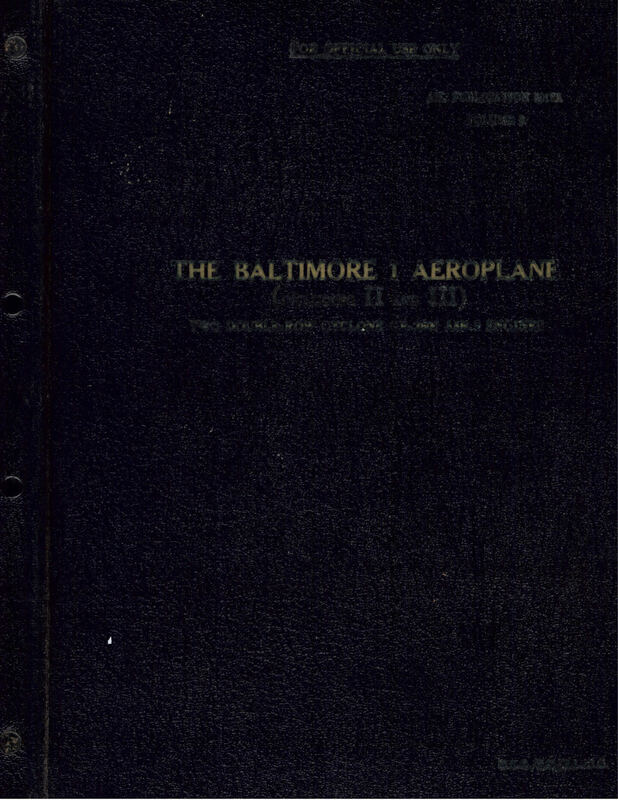 RAF Servicing and Descriptive Handbook (Volume One) for the Baltimore I, AP 2017A Vol 1 dated October 1941 with approx 291 pages.